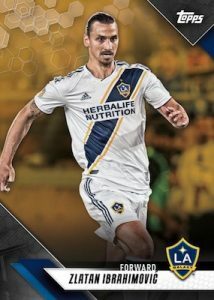 2019 Topps MLS - Major League Soccer Card Checklist	Overall rating:	3	out of 5 based on 1	reviews. 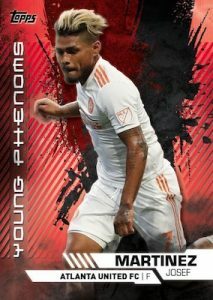 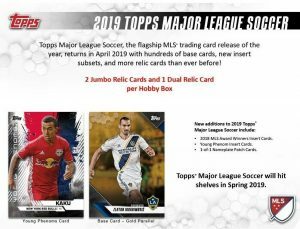 2019 Topps MLS Major League Soccer celebrates the top North American soccer league with a relic centered release. 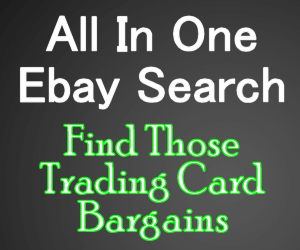 Unlike previous editions of the product, this years release does no offer any autographed sets, instead opting to provide fans with game-used memorabilia cards. 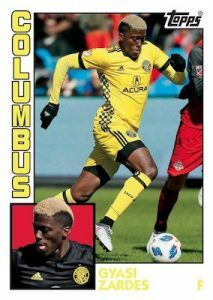 As can be expected, this is probably not going to sit well with many fans, whose opportunity at autographs is already limited by the size of the sport’s real estate in the hobby. 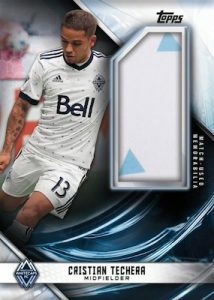 Despite this potential flaw, 2019 Topps MLS does offer some nice looking cards that fans should enjoy anyway.